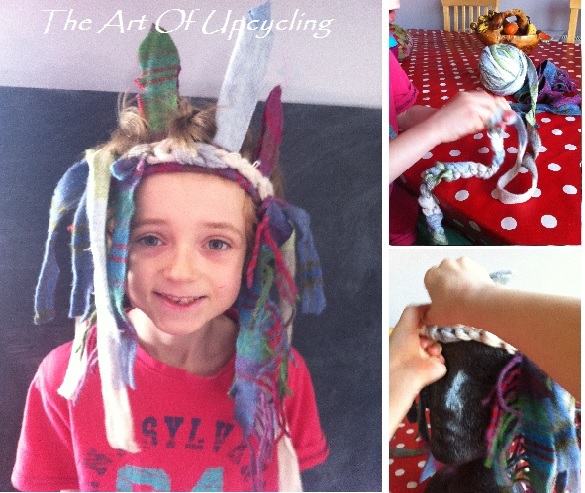 Spend an hour making this indian headdress. 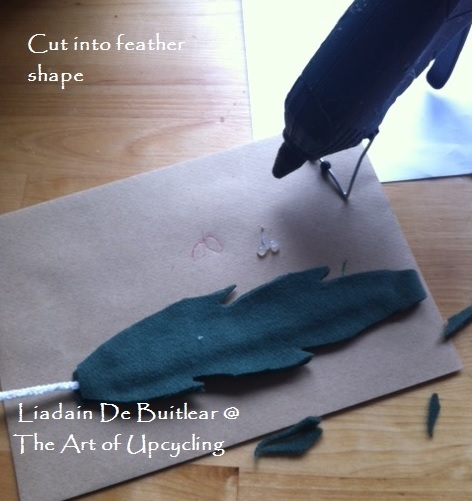 The following steps are from Liadain De Buitlear a contemporary Irish knitwear designer. 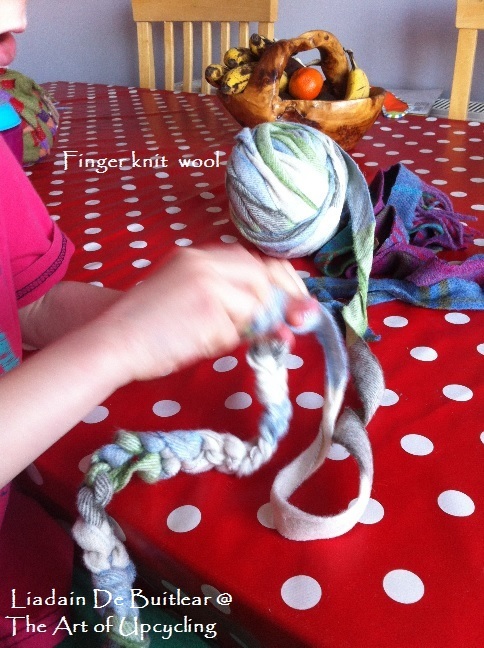 Old fabric, cut up in to strips or selvedge. 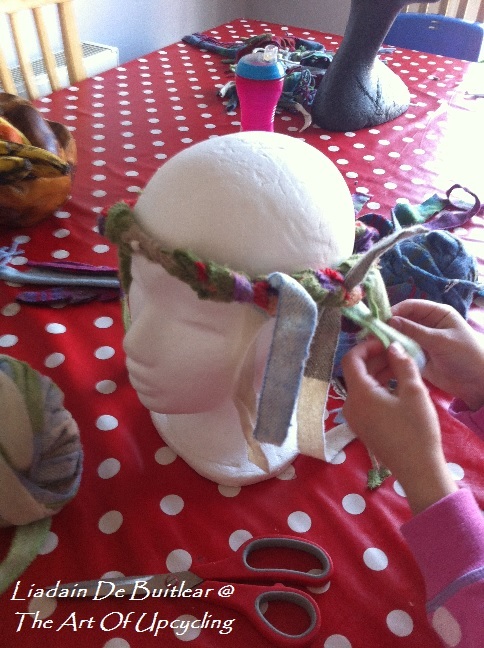 The Steps to take to make an indian headdress. 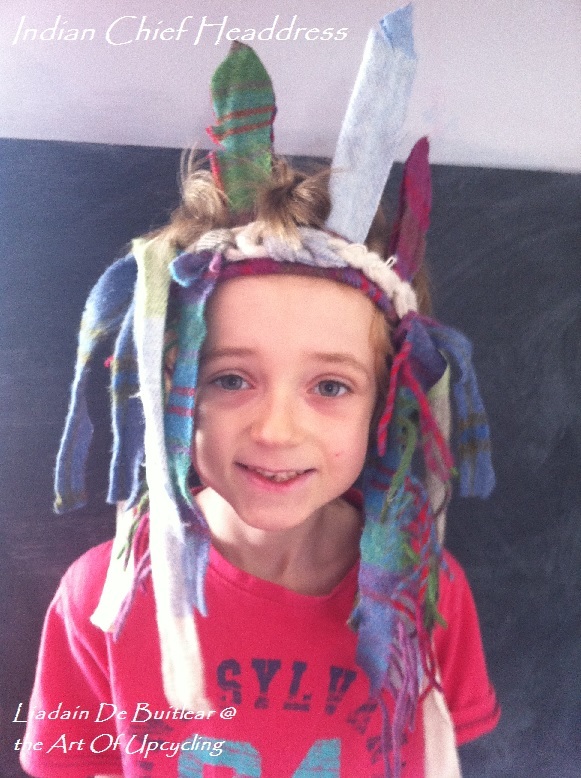 Get the kids to draw out what they want their headpieces to look like, colours and shapes. 2. Crochette to lenght you want leaving pieces on either side as tail to tie the headdress around head..
3. 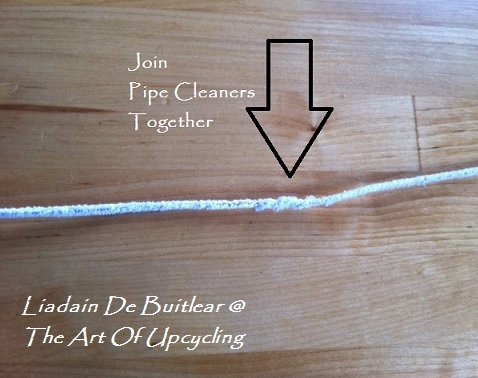 Use really long pipe cleaners or join pipe cleaners together. 4. 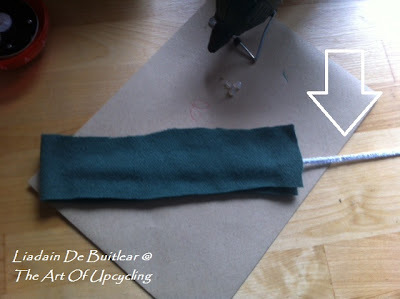 Cut pieces in the fabric to look like feathers. 5. Cut three strips of fabric for either side of headdress. 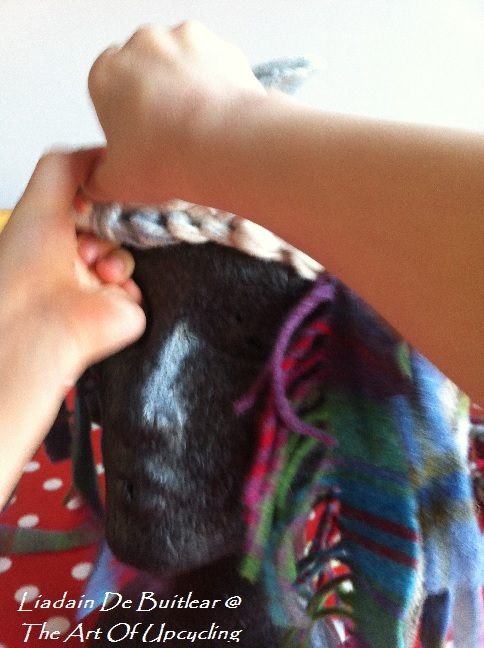 Different lenghts and colours, tie on to headdress. 6. 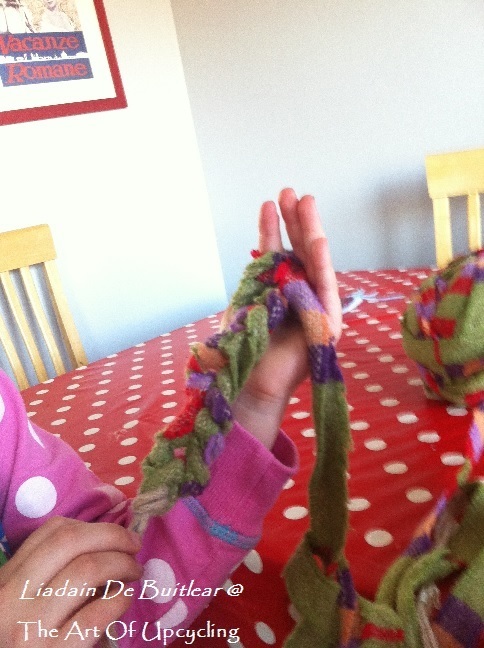 Add feathers with pipe cleaner to front of headband. 7. 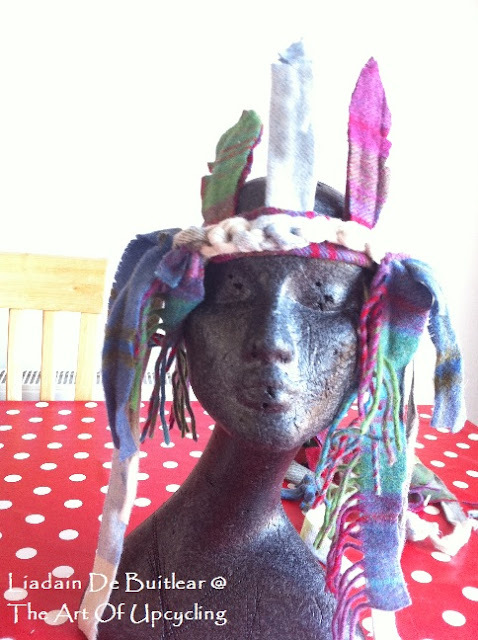 Make feathers longer and add more for indian chiefs headdress. 8 . Less feathers and "ribbons" when making an indian girl headpiece. 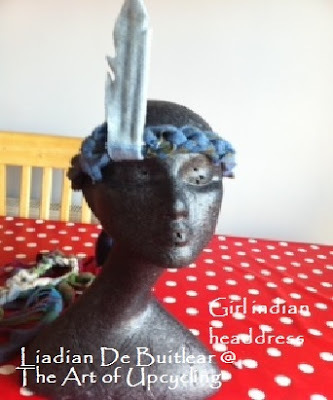 Liadain De Buitlear contemporary fashion designer, runs workshops, wierd and wonderful wool and textile courses.